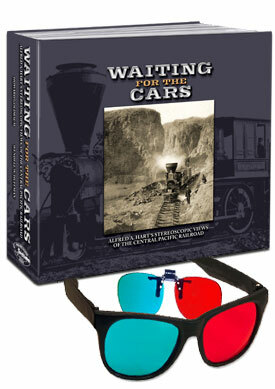 Waiting for the Cars features 218 photographs of the construction of the Central Pacific Railroad taken by Alfred A. Hart from 1865-1869. These images are presented as the photographer made them, in three dimensions. Two pairs of paper 3D glasses are included with the book. Plastic glasses are available at an additional cost.